It’s hard to believe that Term 1 is almost over. Personally, the last nine weeks have been a wonderful homecoming of sorts as I’ve settled into the role of Principal after being at the College a number of years ago. I have been made to feel so welcome and have enjoyed the opportunity to get to know students, parents and community members. 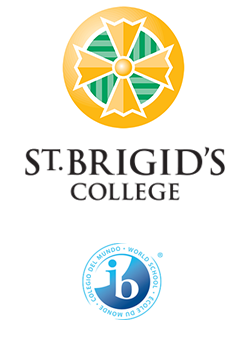 Upon reflection, the term has been a hive of activity, with our students engaged in many meaningful learning experiences, both in the classroom and on the co-curricular front, where our Clubs and Sports programmes have been invaluable sources of opportunities for the girls and boys. I thank the staff for their tremendous work and dedication in supporting the many activities on offer. Thank you also to all the parents who have assisted us during the term. It was fabulous to have so many offers of help for the recent Open Day, Swimming Carnivals and Bush School sessions. Our community is the better for your involvement and assistance. 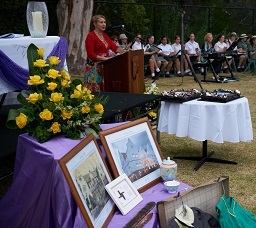 Last Sunday, we celebrated our 90th Anniversary with a beautiful Thanksgiving Mass. 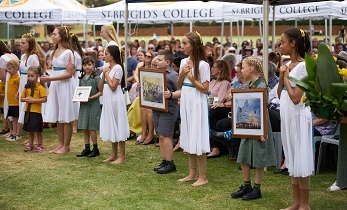 Whilst the day was very much a celebration of 90 years of Catholic education, it was also a celebration of the College’s Mercy tradition and the legacy left by foundress Catherine McAuley and the brave women who left West Perth for the Hills 90 years ago. 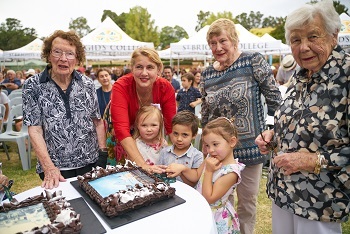 The day was a magnificent 90th birthday celebration and to have so many college and community members to share in the festivities was indeed memorable and special and I thank everyone who was able to join us in celebrating this wonderful milestone. 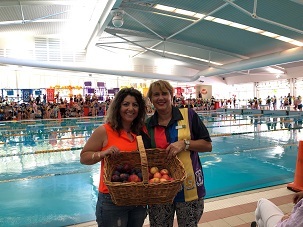 The Parent Forum’s generous addition of some activities for the children after the Mass added to the “party atmosphere” and were extremely well received as was the raffle they ran which raised well over $200 for Project Comapssion. It has been pleasing indeed to see so many parents take advantage of the upcoming parent teacher interviews next week. Not only are these an invaluable opportunity to check in with your child’s teachers about their academic progress, they also serve to strengthen relationships between parents and students allowing us to ensure we are working toward establishing both a successful partnership between home and school and a clear future educational pathway for each of our girls and boys. As we finish the term next week, we will come together as a community for the Stations of the Cross to offer witness to Jesus’ Passion and Death and to reflect prayerfully upon the Resurrection, Christ’s love for us and the true meaning of Easter. I wish you all a holy and happy Easter and a restful holiday break and look forward to welcoming everyone back for Term 2 on April 29th for Staff and Tuesday April 30th for students.